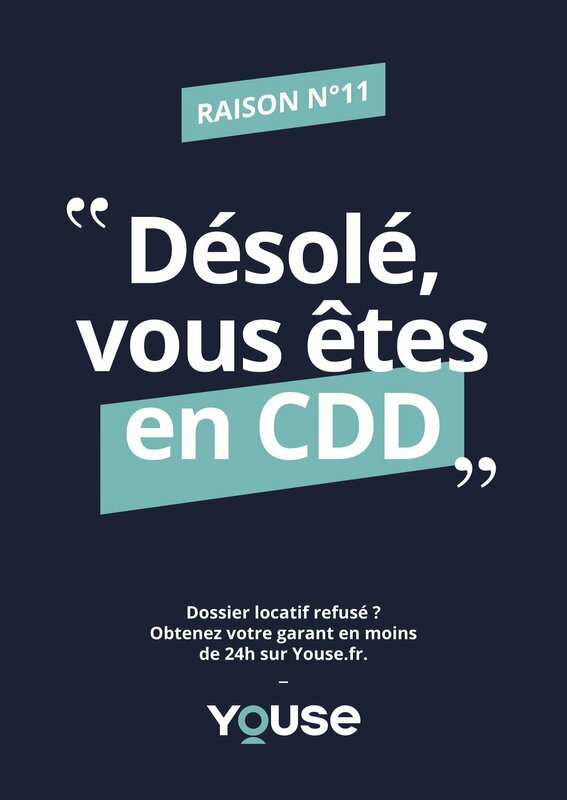 Youse in an innovative 100% digital rental guarantee service launched by CNP Assurances, the first personal insurance company in France. 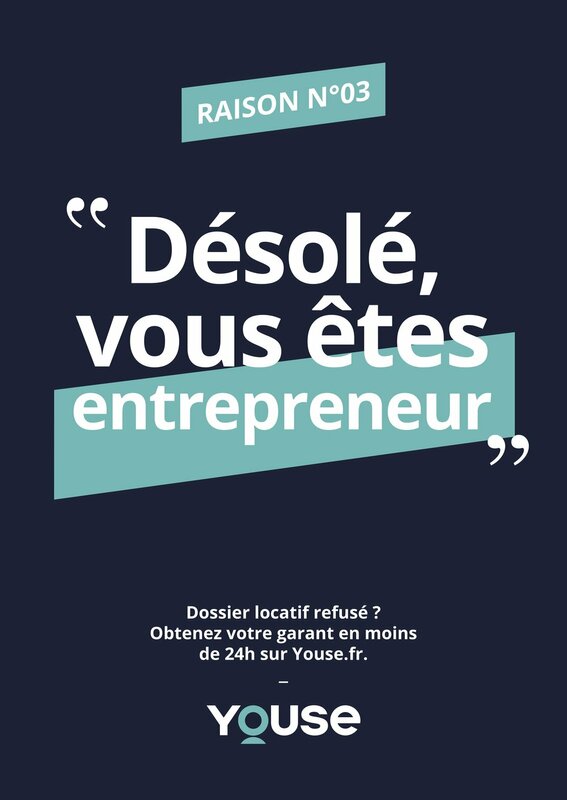 Youse brings a guarantor to the candidates that are ordinarily turned down because of their professional status (freelance, entrepreneur, etc.). Key challenges: create awareness about the service and capture the market before competition arises. 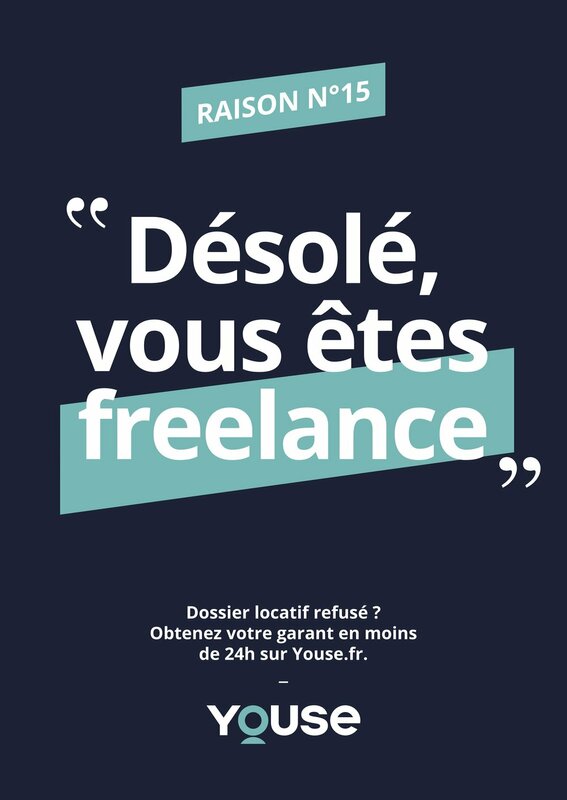 2. pre-launch in May 2018 with a campaign highlighting the injustice striking those that don't fit right in : "Sorry, you are...". Wild display in the street of Paris during several weeks, as well as a digital and social media deployment. 3. Launch in October 2018 with a national poster campaign and a TV spot "The stuntman".